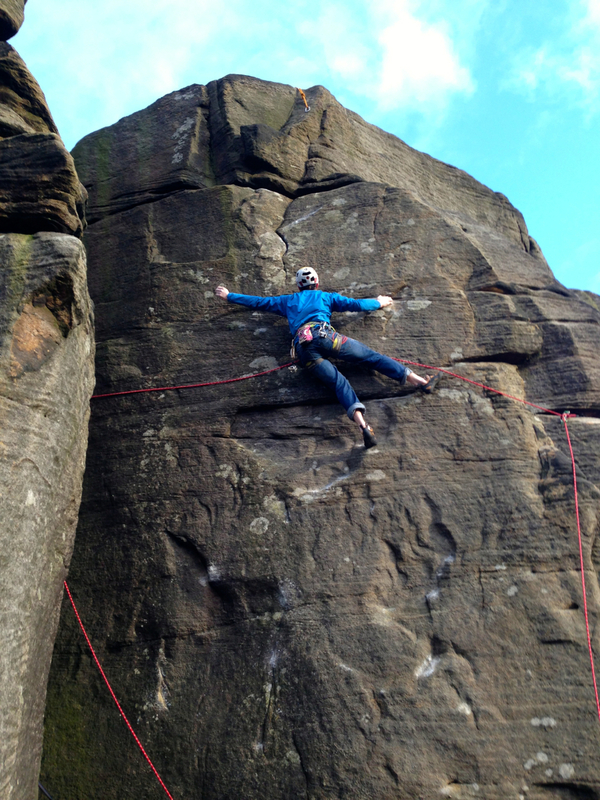 On Sunday I climbed End of the Affair at Curbar. I have repeated this over and over to myself since doing it – it is hard to believe. I have climbed End of the Affair. This is something I never, ever thought I would do. In my early days of climbing I remember being introduced to Hard Grit as if it were a religious artefact. I put every climber and every route featured on a pedestal – they were unreachable. At the time, it represented things that might as well have been happening in another universe. To a certain extent the universe did. Whilst I am still not up to the standard of the protagonists featured in Hard Grit, the past 10 years of climbing has prepped me well for accomplishing things I never believed possible and amongst other factors, the people I have climbed with have had a large part to play in that. When I think back to some of my greatest climbing achievements – in particular The Shield on El Cap and the 1938 Route on the North Face of the Eiger – it occurs to me that I would never have done these without the influence of Alex Haslehurst and Jack Geldard, my climbing partner on each respective route. I had always wanted to climb El Cap, but it was something I wanted to do and not something I thought I actually would do. Much like the routes on Hard Grit, it was well out of my league. It only occurred to me that we could do it when I removed the blinkers: big wall climbing is just like trad climbing, only bigger (and with a bit of hauling). Easy…well…easy-ish. The same happened with the Eiger. I had been averaging 35+ routes in Scotland for two years prior to our ascent, yet I still didn’t believe that I actually could do it. Why? In short, it really hadn’t occurred to me. Once the blinkers were removed I realised that it was like Scottish Winter, only bigger…well…quite a lot bigger (but with better weather). Without Alex and Jack I may never have done either of those routes, I was years away from the realisation myself. Who have I got to thank this time? 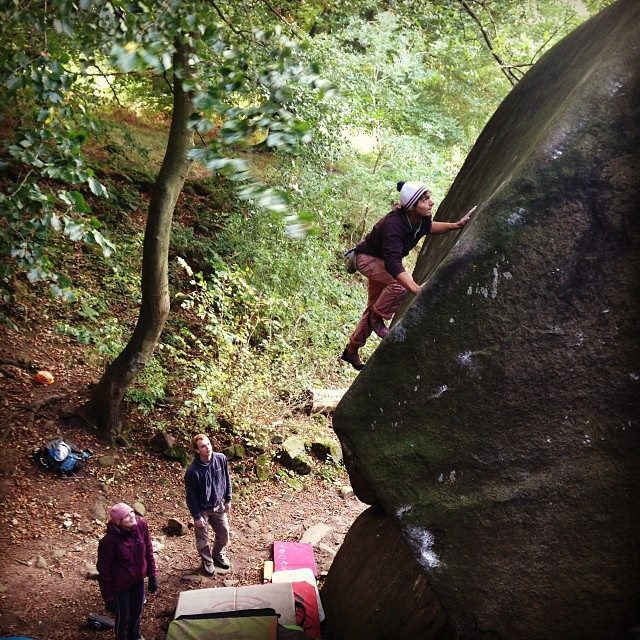 Two names stand out: my regular gritstone climbing partners Katy Whittaker and Nathan Lee. I could say more about them but I’d only cause them embarrassment (that and their achievements over the past two months have already been documented elsewhere). Being surrounded by people who inspire you makes so much of a difference and I guess I owe End of the Affair to them, without their influence it could have been a few more years in the making (if ever!). I will finish with a trailer from Guy Van Gruening’s latest project – Gritual – and a selection of photographs from the past month. So sit back and enjoy, then get up and go out climbing (with an open mind). Here I am pointing towards the ‘crucial’ undercut that allows access to the pockets on the upper wall. I would point to the footholds but you wouldn’t be able to make them out! My name is Rob Greenwood. 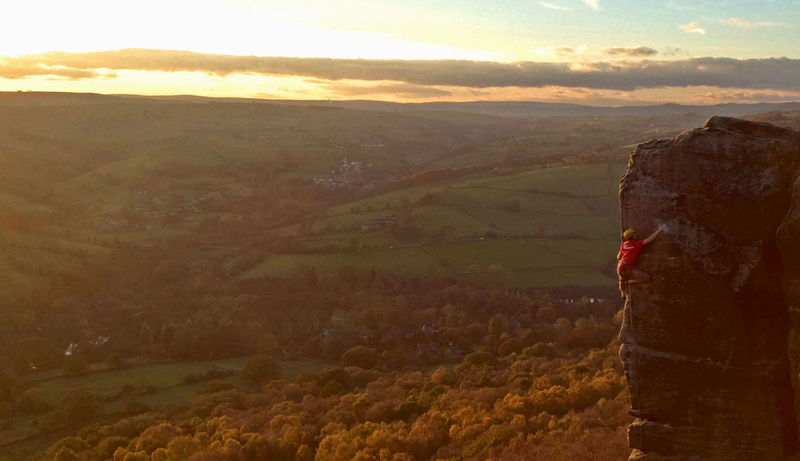 I am an active climber, runner, and mountaineer based in Sheffield, South Yorkshire. I moved to the Bangor, North Wales in 2002 to study a BSc in Psychology. Upon graduating I was left with the intimidating prospect of getting a ‘proper’ job somewhere but didn’t wish to leave the area. Fortunately I wasn’t that employable to do anything sensible so I ended up spending four years working at Joe Brown’s Climbing Shop in Llanberis. 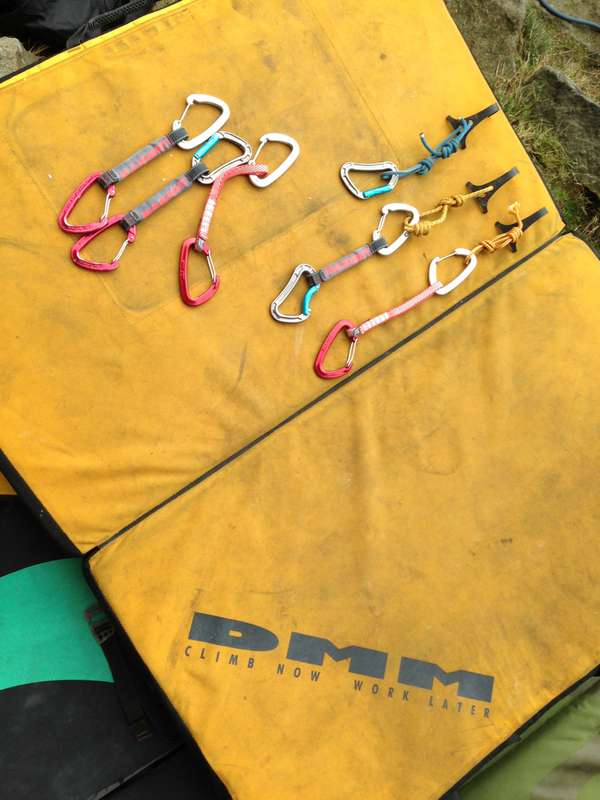 From there I moved on to climbing hardware manufacturer DMM as North Area Sales Representative. In between the non-stop glamour of life on the road I managed to get out climbing in a wide variety of styles in many different places across the world. 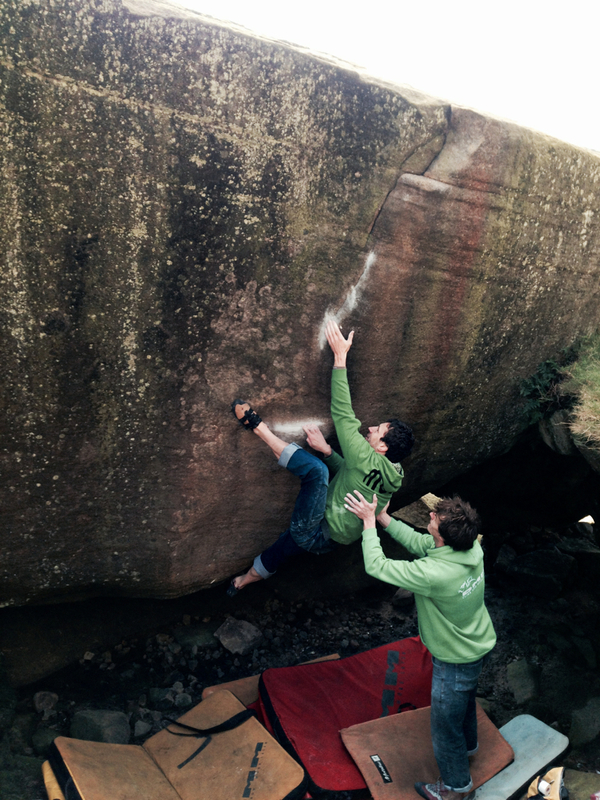 I am now Advertising Manager for UKClimbing. 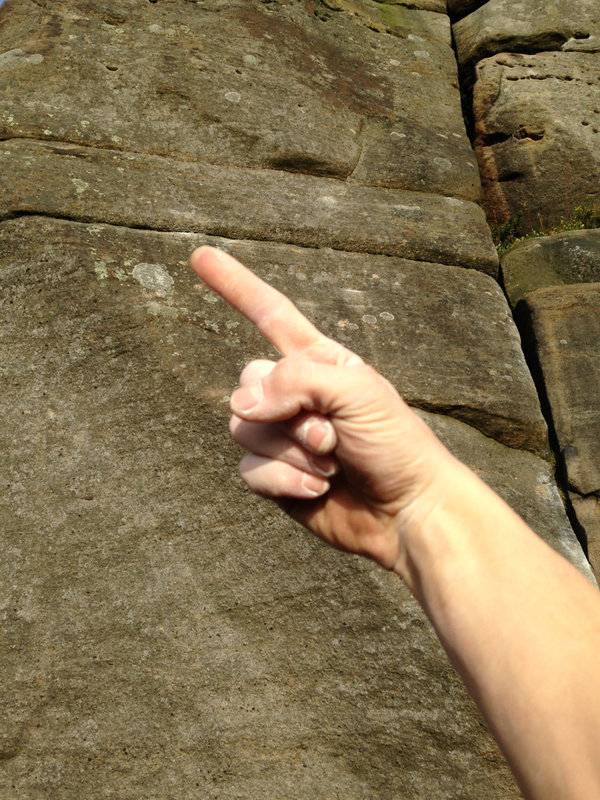 Let the Gritstone season commence….